You enjoy the classic Genesis Sonic games. You appreciate retro, old-school game design. You’re ready to experience one of the best retro-platformers in many years. DISCLOSURE: This review was originally posted on TSSZ News and is based on an Xbox One review copy of Sonic Mania provided by SEGA. 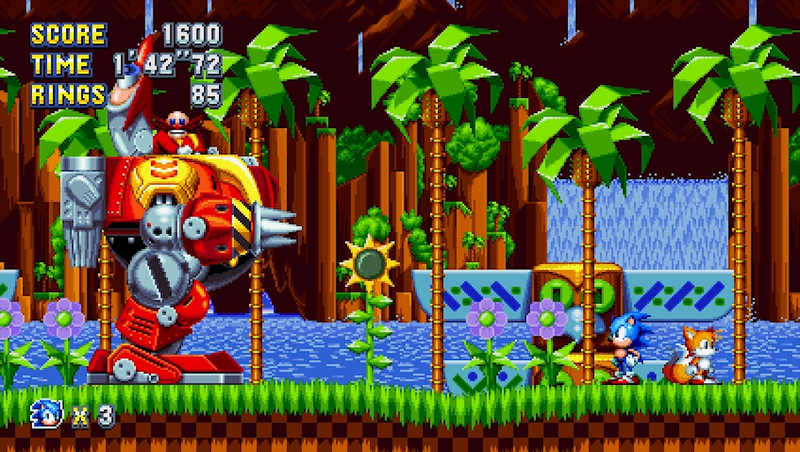 In the run-up to its release, Sonic Mania garnered accolades and levels of praise from the media that the Sonic franchise hadn’t seen in years. This shouldn’t come as a surprise; for millions of people, their fondest memories of Sonic are those related to the Genesis classics. Because so many people love those games so much, any attempt to closely replicate that experience will undoubtedly get some serious attention – and face some serious scrutiny. There’s a lot riding on Sonic Mania to get the whole thing right, and fans of the series will be delighted to know that it absolutely does. The most critical component of any platforming game is its control, and movement feels fantastic in Sonic Mania. The technical underpinnings of the Retro Engine help Mania mirror the physics and platforming of the Genesis classics perfectly. No approximations or misguided emulations here – this is the real deal. This level of polish and execution extends to the new moves as well; the Drop Dash, which lets you perform a mini-Spin Dash upon landing from a jump, is satisfying to pull off and helps keep the flow of a level going if you hit a wall or need to backtrack quickly. There’s no fighting with the controls in this one, and if I’m being honest, this might just be the smoothest Sonic game I’ve ever played. 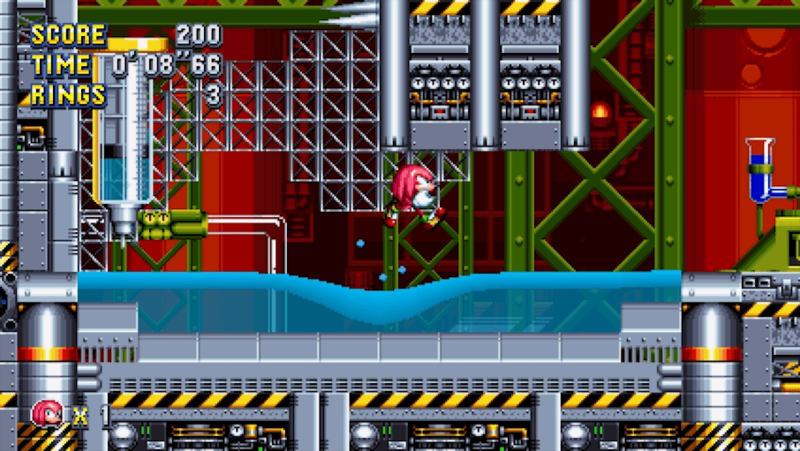 Once you start moving around, you’ll find that levels feel just as large and expansive as they did in Sonic 3 & Knuckles, perhaps even more so in some cases. Everything you’d expect from a classic Sonic game is here: branching pathways, creative gimmicks, and plenty of open road to speed through. Methodical exploration often results in finding hidden goodies, as does quick thinking during high-speed moments when items and access to faster routes often fly by. 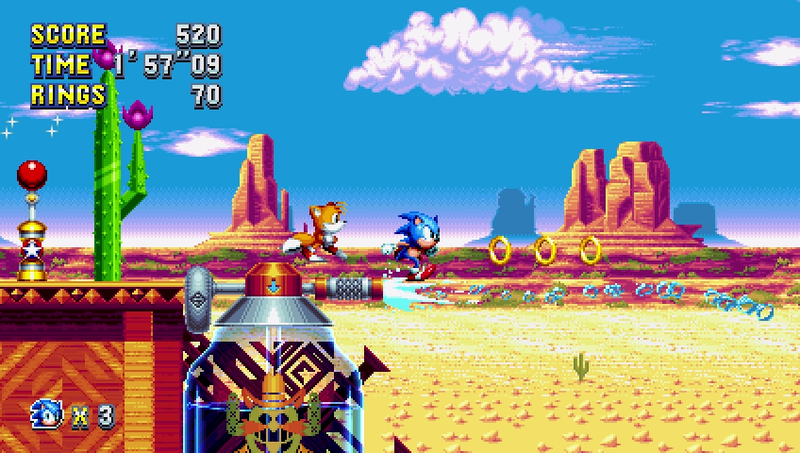 The return of character-exclusive paths also means that you’ll need to take control of Tails or Knuckles at some point to see everything a zone has to offer. The difficulty curve remains manageable throughout, with earlier zones preparing you nicely for the challenge of later stages. It’s not an overly difficult game, but even series veterans will likely struggle at times on their first go. So there it is, folks. Sonic Mania is every bit the classic renaissance we hoped for, and it’s the first Sonic game in decades that I can wholeheartedly recommend without reservation, even to casual gamers and non-fans. If you’ve ever longed for a true return to this franchise’s glory days, this is your chance to experience that glory again. In creating the ultimate celebration of past and future, the Sonic Mania team have also created something else – the best Sonic game of all time.